This last month has been an absolute nightmare. I'm saying this because my entire household took turns being sick. There's five of us. Whether it was the flu, stuffy/runny nose or a cold, someone in my house had it. I don't know if it's because of the changes in the seasons, but I am sure glad that it's over. Other then medicine, drinking lots of fluids and making sure we all got plenty of rest, Boogie Wipes helped us out a lot! I've talked about using Boogie Wipes on the blog before, and boy did we use them. 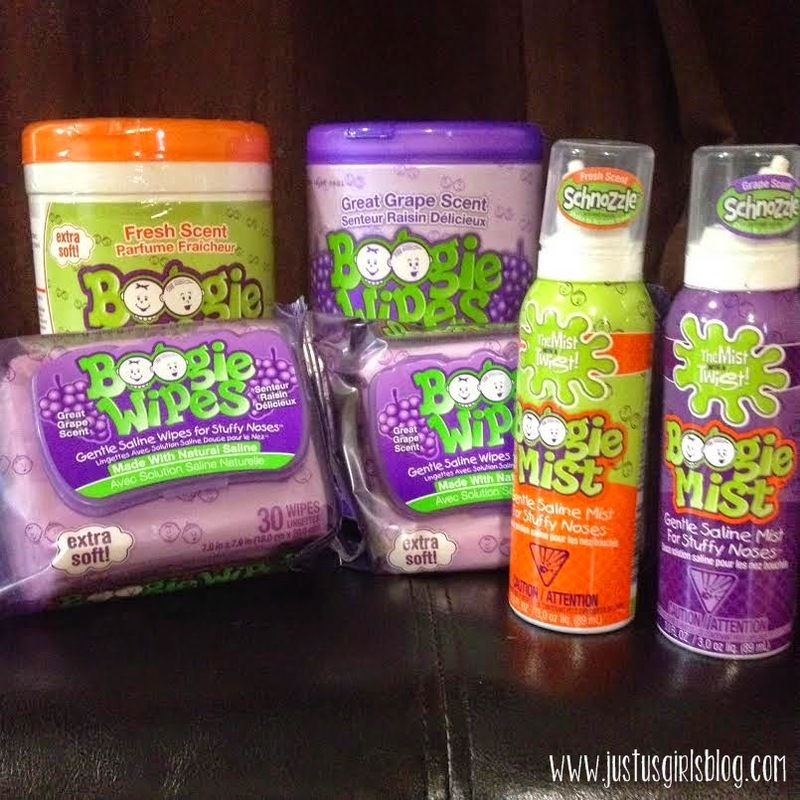 I was sent a few containers of wipes and some of their new Boogie Mist as part of being a blogger of their Kandoo Ambassador Program. This is our second year being part of this program and I'm thrilled to work with Kandoo again as well as share with you all how you can use their products for your little ones. If you have yet to try Boogie Wipes in your household, let me just say you're missing out. These wipes are made with Natural Saline that help dissolve mucus that's caused by the common cold. They're hypoallergenic so all kids can use them. These wipes make it easier for kids to clean their nose when sick without leaving it red or sore because Boogie Wipes contains Vitamin E, Aloe and Chamomile on them to help moisturize the skin. They come in They come in Fresh Scent, Grape and Unscented and come in a pack of 30 count or in a 90 count canister. What I love about the 30 pack is that I can take them with me on the go or pack them in my kid's backpack so they can use them at school. Along with the wipes, I also used Boogie Mist, for my kiddos. They weren't a fan of it at first because they thought it was going to be painful when I used it on them, but after the process was done and they felt the results of their nose being less stuffy and it not being painful, getting them to do it a second time was easy as pie. The Boogie Mist comes in Fresh Scent, Grape and Unscented as well. It's a sterile saline spray that helps thin out the thick mucus that’s making it hard for your child to breathe. This will then allow for your child to then blow their nose with the Boogie Wipes and breathe a lot better. Now that we're all feeling better and at the end of March, I have to say I am definitely looking forward to Spring Cleaning to rid our house of any germs that may be laying around! 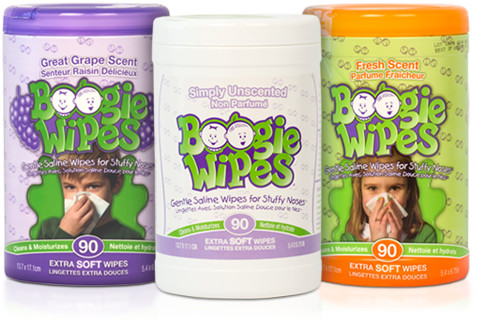 For more information about both Boogie Wipes and Boogie Mist and where you can purchase them, you can head on over to www.boogiewipes.com.